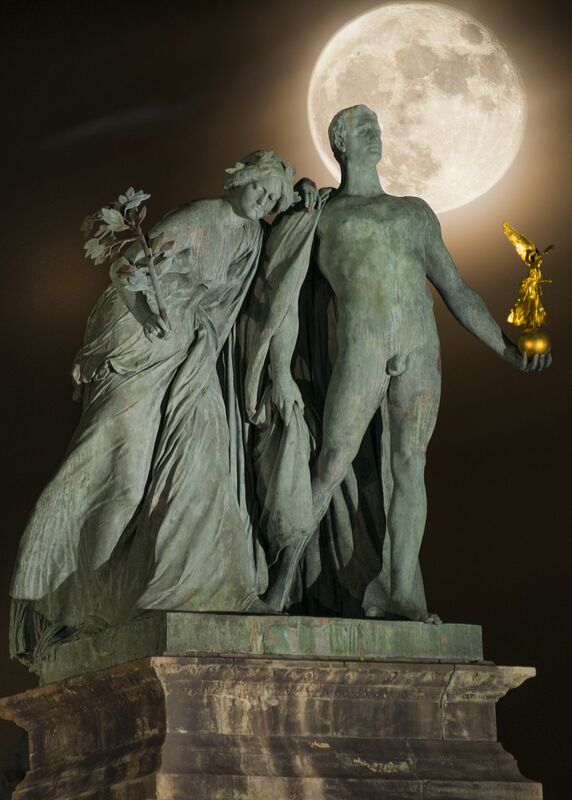 This photo of the recent Supermoon was taken at Heroes' Square in Budapest. This being my first time photographing a Supermoon, I sought a subject that would complement it well. The monuments at Heroes' Square were built in tribute to the Hungarian nationals that died during the 1956 uprising which is being memorialized on it's 60th year.